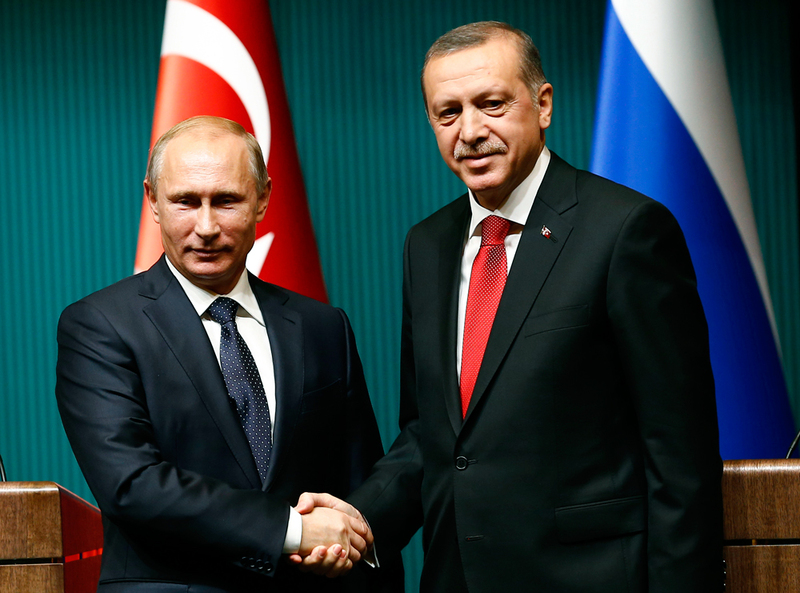 Vladimir Putin shakes hands with Tayyip Erdogan after a news conference at the Presidential Palace in Ankara Dec. 1, 2014. Some 2,000 Russian fans are expected to attend a friendly match between the Russian and Turkish national football teams on Aug. 31 in Antalya, a spokesman for the Turkish Football Federation (TFF) told TASS on Aug. 29. "We hope to see about 2,000 Russian fans," the spokesman said adding that "the stadium is about 32,000 capacity so we think the match will see 27,000-28,000 spectators." He also said that a local foundation promoting the development of bilateral relations between Russia and Turkey would also distribute some tickets free of charge and some at a low price of about three euros ($3.4). "There a Russian-Turkish charity group in Antalya who is helping the Russian and Turkish relations to prosper… about a hundred of tickets will be provided by it for free to Russian people living in Antalya," he said. Earlier in the month, the Dogan News Agency and several local mass media reported that Russian President Vladimir Putin might arrive in Antalya on August 31 to watch the Russia-Turkey football friendly. The Kremlin’s spokesman, Dmitry Peskov, told media in late July that Putin might be present at the match. However, a trip to Turkey was not on Putin’s schedule at that time.